Tony Blair has not offered Ed Miliband the same courtesy It is a sign of desperation that Blair has intervened publicly with The Economist in this way. His ‘wing’ of the party is a ragged mess. Many closest supporters and former ministers are no longer MPs, a leadership contest that should have been a shoo-in for David Miliband was lost while Jim Murphy in Scotland showing any sign of political yet faces a struggle against the nationalists. Aspiring Labour parliamentary candidates either keep their distance from the Progress group which promotes New Labour policies. Since 1997 the myth that only a New Labour government could be elected has been carefully promoted and perpetuated. The fact a social democratic John Smith-led Labour Party was heading to a solid working majority in 1994 has been buried on the isle of Iona with him. Blair befriended media owners leading to ridiculous the scenario of the former Labour leader being â€˜garbed in whiteâ€™ on the bank of the River Jordan to be godfather to Rupert Murdochâ€™s daughter. In contrast Ed Miliband took direct aim at News International during the phone hacking scandal and its â€˜sense of immunityâ€™. Blairâ€™s record as Prime Minister is continually being re-evaluated by events. The decision of Brown to prevent Blairâ€™s government from joining the Eurozone has been vindicated. The free movement of labour throughout the European Union has helped fuel the rise of UKIP and increased the real risk of an EU exit. Over in the USA the President which Blair stood shoulder to shoulder with in going to war in Iraq was replaced by a Democrat who was against the war and defeated the Clinton machine and approach. While Blair urged the West to militarily intervene in Syria, the UK pulled back as a result of Labour and public opposition. Here lies the threat of Ed Miliband to Tony Blair. Labourâ€™s leader stands very close to showing that it is possible to win without the New Labour playbook. This will have serious implications for Blair as a relatively young ex-Prime Minister who still seeks to influence events. An Ed Miliband victory will end any sense that Blair is the guardian of some secret code to a Labour election victory and will limit his ability to anoint a future leader (currently in the form of Chuka Umunna). As soon as it is accepted that there is more than one way for Labour to win it could lead to a more critical reassessment of Blairâ€™s tenure and squandering of political capital from two giant parliamentary majorities. The radical policies of Cameron in spite of failing to secure a majority already cast those first two terms in a different light. 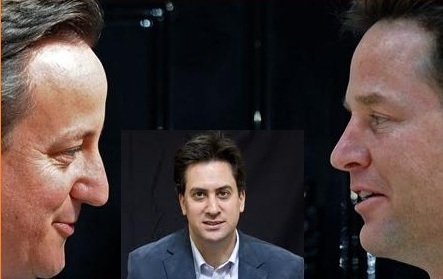 In many ways it is entirely rational for Tony Blair to want Ed Miliband to lose. His stake in Britain is limited. Itâ€™s hard to feel empathy for the working poor of Peterborough while aboard a billionaireâ€™s yacht in the Mediterranean. By intervening in this way Blair further erodes the support of those in the Labour party who were proud of what Labour achieved under his leadership. It is strange, unedifying and sad to watch a leader who preached the importance of party loyalty now sniping from the sidelines. It is indeed a sign of Blairâ€™s weakness not his strength. If Ed wins in May it wonâ€™t just be David Cameron who is defeated, but Tony Blairâ€™s reputation will suffer as Labour shows there is another way to win. Quite often in political betting a narrative builds up about the infallibility of the betting markets. That somehow because punters are wagering their own hard-earned cash their judgement is better. In the table above are the commons seat prices at 7am on the morning of May 6th 2010 just as voting started in the general election. Those who had had the foresight to “buy” LAB on SportingIndex at 219 seats would have ended up winning 39 times their stake level in just over a day and a half. Those who’d bought the Tories, and even more so the LDs, would have lost on the same basis. My first inkling that the election was not going to plan came in a phone call from a prominent PBer who was helping Labour’s Nick Palmer in his effort to get re-elected in Broxtowe. He told me that his reading was that things were going very well for Nick who was in with a shout. As it turned out Nick failed by 389 votes which was far better than just about anybody had been predicting. The lesson I learned from that election was that we should not get carried away by Cleggasm-type surges and shouldn’t underestimate the power of the Labour brand even when all seems lost. Given the way that the purples dominated the political narrative for a large part of 2014 it comes as something of a surprise to observe, as Antifrank does on his excellent blog, that UKIP is clear favourite in just five seats, all of them currently held by the Tories. The constituencies are listed in the table above and clearly Douglas Carswell’s Clacton is by far the party’s best bet. I regard the 1/10 as as close to a near certainty as you are going to get at the net election. Surprisingly his fellow MP and winner of the Rochester by-election, Mark Reckless, doesn’t make the list. He’s behind the Tories in the betting. I agree with AntiFrank that he is a good bet at 13/8. Because there are only two UKIP MPs he is going to get a fair bit of attention. The reason why he’s not favourite is, I guess, the finding in the Lord Ashcroft by-election poll that the Tories would win there net May. I’m only partially convinced. The polling question, unlike the one for the by-election, did not refer to him by name which could have had an impact. The SNP’s been issuing lots of data from its latest Panelbase poll but no GE15 voting intentions. Why? Could it be that the lead over LAB is fading? Above is a table with all the Scottish GE15 voting intention polls that have been published since June and I was hoping this morning that a final survey could be added to the list. Over the last three nights the SNP has been emailing me detailed findings from its latest Panelbase poll on things like Devomax – which have all reinforced its position. The latest email was headed “POLL – LAST FINDING, DEVO MAX” doesn’t include any voting figures which seems very odd. It is hard to believe that a poll that was commissioned by the party did not seek to find out how Scottish voters were currently thinking about the May 7th general election just four and a bit months away. Doing well in that election has become a key objective following the party’s double digit defeat in the IndyRef. Yet there is no information about GE15. If the numbers had shown that the party was maintaining its lead then I’ve little doubt that this would have been published. The Panelbase survey is a private poll and the SNP is free to issue whatever it likes. I’ve broken the final polls of 2014 into five broad areas for comparison. CON to LAB swing The most important measure and where there’s a huge variation from the Ipsos-MORI 2.65% swing to the TNS-BMRB and Opinium 7.15%. If it was the latter on May 7th then LAB would probably secure an overall majority even if it lost all but a handful of its 41 Scottish seats. The CON+LAB aggregate This shows up the very big difference between the phone pollsters, who are all on 61%, and the online ones which are much higher. I put this down to the way samples are assembled. The LD share As can be seen this ranges from 5% to 14% which is down to different methodologies. If ranges on this scale continue some pollsters will have egg on their faces. The UKIP share Not quite as much variation as the LDs but still big differences measuring a segment of the electorate that could be decisive. The GRN share This moves from 2% with ComRes online to 9% with Ipsos-MORI. I can’t explain it. It used to be that you’d take the national shares and input them into one of the online seat calculators to get an ides of what the numbers would mean in terms of party MPs totals. That form of calculation isn’t really possible any more because of Scotland and the UKIP surge. I’m beginning to wonder – what’s the point. Anyway less than four and a half months to wait. Betting, as I always say, is not about making predictions but deciding whether the chances of something happening are better than the odds available. One that falls into that category at the moment is the 7/4 that Ladbrokes have on LAB winning most votes. The Tories are on 1/2. To my mind this is an over-reaction to events in Scotland where the LAB collapse since the IndyRef amounts to only about 1% on overall GB vote shares. In terms of seats this is terrible for Team Miliband but in terms overall national vote shares it won’t have all that much impact. There’s little doubt that we are moving into uncharted territory and I see UKIP doing very well eating into both CON and LAB vote shares in the heartlands of both main parties where it will have little impact on the seat outcome. The polling suggests that the Tories are more vulnerable than LAB and we’ll perhaps see twice as many 2010 votes slip to Carswell’s party than from LAB. This means, of course, that the Tories will benefit most if UKIP comes under pressure in the closing part of the campaign – but my reading is that this will happen mostly in the marginals which represent barely a fifth of the the contests. Labour, as we’ve discussed a lot, has the benefit of the the 2010 LD switchers who are broadly staying with the red team although there has been a little seepage of late to GRN. I make the CON or LAB most votes bet about evens for each – so the LAB 7/4 is worth a punt. After a battering in frecent Scottish polls Labour can take some comfort this morning from an Opinium poll of new voters across England, Scotland and Wales for the Observer that shows the party with a substantial lead. That’s fine except for THREE problems. First Mr. Cameron has a clear lead in approval ratings from this segment. See this. The second problem is that the youngest age group has traditionally had the lowest turnout levels. This was put at 44% at GE10 compared with 65% for the electorate as a whole. A third big problem is the new arrangement for getting on the electoral register. New additions are subject to the individual registration arrangement rather than, as before, being put on the register as part of a household. There are worries that this might hit younger voters the most with the result that many won’t be on the register. So far no national figures have been issued but some local authorities have put out their own data which shows the numbers markedly down. If that is the case then Labour is going to be hurt the most.